What Makes The Best Flushing Toilet Worth Your Money - Toilet Found! What’s The Criteria For The Best Flushing Toilet? Alright let’s face it. You are here because you are looking to buy a toilet that does what you expect it to do, and within your budget. And in your opinion, the best toilets for the money must be of great quality and doesn’t cost more than you can chew. Duh. Who doesn’t want that. But do you know what makes a good toilet? The best one in this case. And how can you tell from the outside between a good toilet and a mediocre one? What are the best toilets to buy? Asking all the right questions is one way to find out. But do you know what to ask? 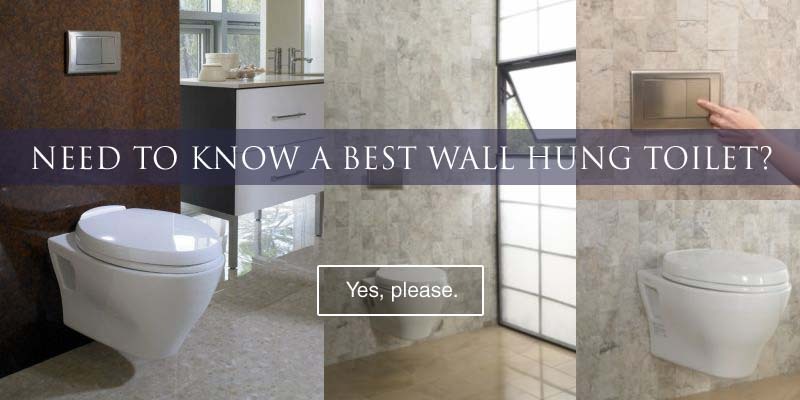 Or, if you are searching online for the best toilet to buy, do you know where to look? Now it begins to daunt on you, you know you can’t trust the marketing hypes and most of the reviews you’ve read. No companies are going to tell you the weakness of their products. And no reviews are truly unbiased. You are on your own, and hopefully you are not trying to rely on your luck. So, what to look for when buying a toilet? And yes, you do mean the best flushing toilet. Let’s get you started. You will soon be able to spot a good toilet through the hypes and noises in the market place. And in no time you should be able to set your criteria and zero in to the best flushing toilet right within your budget. NOTE: It’s a long post so please use the Table of Content and anchor for your easy browsing. Don’t Forget The Waste. The Bulk Of It. Is There Such A Thing As A Quiet Toilet? This is the most important criterion of a best flushing toilet. You must agree that not all toilet flushes the same way and with the same efficiency. But we only want those that give a strong flush, one that can move heavy loads in a single flush. One you need not have to look into the bowl to make sure nothing is ever left behind. Well, unless you have the addiction of watching a toilet flush. Then all the more you should get a good one at flushing. So, without looking physically into the mechanics, how can you tell it’s going to be a strong one? The answer lies in the diameter of the flush valve. The bigger it is, the stronger the flush will be. This is because a large flush valve diameter allows more water to flow out of the tank faster. That translate into higher water flow rate. With a high flow rate, it means stronger push. A heavy load needs a strong push isn’t it? Simple enough? There’s more to it. The strongest man in the world can’t move a stationary train without wheels. Likewise a powerful water flow rate is useless without a great bowl design. Once water flows out of the toilet tank, to maximize its power it needs to be channeled to make it even more powerful. So a good toilet bowl design will have this aspect carefully engineered. Within the bowl, there are water channels that serve 2 purposes. One is of course to push waste out through the trapway, and two, to clean the bowl. The bowl interior design varies from manufacturers. Some will have small holes lined along the bowl rim so water can flow down and rinse the bowl surface. And a main channel with its opening position at opposite the bowl outlet. This main channel has the strongest flow, obviously its main function is to push the waste out of the bowl. And with the water flowing down from the rim holes, the force adds up to a powerful flush. A clean flush is to clear waste and clean the bowl all in a single flush. No waste, not even a tiny bit should be left behind. That’s what a best flushing toilet should do. Now back to the flush valve diameter. The question you have is, exactly how big is big the flush valve diameter should be. 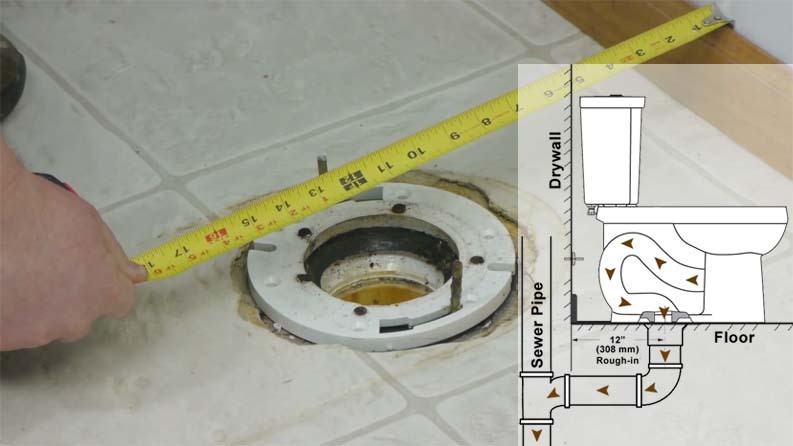 To determine a good flush valve size, there’s got to be a reference in place. The industry standard for a flush valve size is 2 inches. So a bigger than 2 inch diameter valve opening is desirable. But that’s only one side of the story, we’ll deal with the other side in a while. American Standard toilets have some of the biggest flush valve diameter in the market. For example, the Champion 4 toilet has a flush valve diameter of 4 inches. That’s twice the size of the industry norm. Others range from a little over 2 inch to 3 inches. In fact most of the popular brand toilets are having 3 inch flush valve as standard. So that makes it a little difficult to differentiate the best toilets from the average ones. Which is why you need to look beyond just the flush valve size. 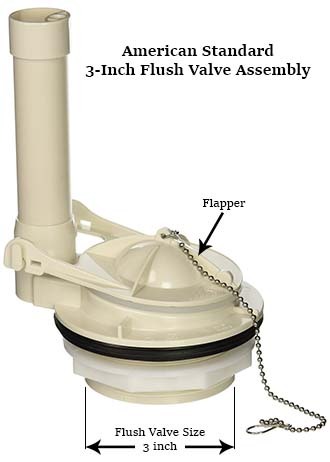 The most common flapper type is the hinged rubber flap that open and close the flush valve via a chain connected to the lever. Most toilets are still using this age-old flapper design and it works fine. 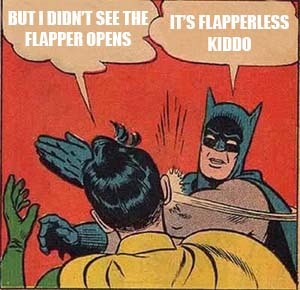 However, in recent years there has been some innovation to the old flapper design. The lack of it that is. Instead, a hollow cylindrical piston takes its place with the advantage of getting more water into the bowl faster. Commonly known as the tower or canister flush valve, it was first introduced by KOHLER. Trademarked as the AquaPiston Canister Flush Valve. It’s a flapper-less flush valve. The valve is opened by lifting the tower vertically, letting water to flow down the bowl in all directions without obstruction. And with a 3.25″ valve diameter, the flushing power is phenomenal. If you are going for a KOHLER toilet, be sure to get one with the AquaPiston canister flush valve. You will love the promised clog-free flush. Here are the 3 best selling KOHLER toilets with the AquaPiston Canister flush valve. So a large flush valve diameter is Batman. What is Robin then? Well, Robin comes in the form of the water ways, or water channel design in the bowl and the trapway. We mentioned about bowl rinsing a moment ago. So the water ways design has to provide for a good rinse on the bowl. A good rinse is one that let water flows from top to bottom covering the largest bowl surface area. And preferably with speed that seem like scouring to remove sticky waste and stains on the bowl surface. So a good bowl design should have a water channel for bowl rinsing to remove waste that stick to the bowl surface. And as mentioned before, different manufacturers design their water ways differently. The two makers who have a very unique bowl design to achieve maximum rinse efficiency and flush power are TOTO and American Standard. The famous Double Cyclone by TOTO and the Vormax Flush by American Standard. These 2 flushing systems have at least one water channel with a large opening just below the bowl top. There are 2 in the case of TOTO’s Double Cyclone flushing system. What makes them unique is the sweeping action they produce that literally sweep stains and stubborn waste down into the bowl outlet. They are not just wetting the bowl like those rim holes design seem to be. And both designs have one thing in common, they are rimless. There’s no need for a rim with holes line along it, obviously. So that provides another benefit, there is no place for dirt to hide. Which means, cleaning is so much easier with a rimless bowl. Like the idea of the Double Cyclone or Vormax flush? Here are the best selling models from American Standard and TOTO. Another aspect of bowl design that helps to prevent stain on the bowl is a glazed bowl surface. Not only that, a smoother bowl surface can help with the water flow speed making the flush even stronger. Thus the bowl gets a better rinse. A best flushing toilet should have at least a conventional glaze. Or go for a proprietary glaze, such as the EverClean Surface by American Standard and the CeFIONtect Finish (Previously known as SanaGloss) by TOTO. To some users the difference between a conventional and propreitary glaze is insignificant. But the majority of the users does feel the difference in a cleaner bowl that stays clean longer. 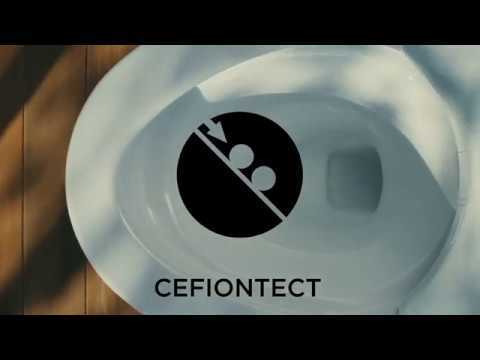 Whether it’s EverClean surface or CeFIONtect glaze, you will find that it is so much easier to keep the toilet clean. Usually with just water is enough to wipe away dirt or stain, hardly the need to use a cleaning agent. So whether it is the rim holes or the rimless design, the main purpose is for bowl rinsing. The more bowl surface area it covers the better. The question is, which is better in removing stains and stubborn waste. The truth is, be it the Vormax or the Double Cyclone, they are not replacing the conventional rim holes design yet. So it’s a matter of preference, and the former still works just fine. And the bigger question is, which is easier to clean and maintain? Look at the image above again, you decide. Yes. In the end it’s about removing all waste and return a clean bowl for the next user. So the main water channel is key in removing all the waste in the bowl outlet. The main water channel usually locates at the bottom of the bowl. And its opening is faced conveniently opposite the trapway outlet. With this arrangement, it is set to give the maximum push to clear the waste efficiently. 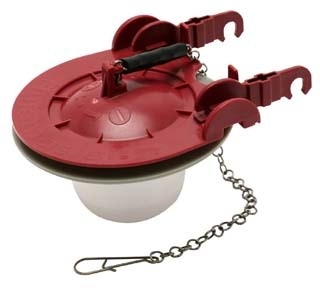 Then there’s the trapway which helps with “sucking” or pulling in the waste in the form of a siphon. Hence, the trapway diameter has to be carefully calculated to maximize the siphon force. So you can see everything is well coordinated. A clean flush has to be fast and furious. And the criteria for that is a large flush valve for strong water pressure, and the water ways to channel the power to clear the waste out of the bowl. Then the right size trapway takes over to siphon everything out to oblivion. But there’s one very important factor that you shouldn’t ignore. It can break or make a best flushing toilet. Batman will be another weakling without his muscles. And those muscles are the water in the tank and it has to be in the right volume. Most of the best toilets out there, if not all, are either of 1.6 gpf or 1.28 gpf. It has been proven this 2 water volumes get you the cleanest flush among all for clearing solid waste. So understanding how a good flush works is important when looking for a best flushing toilet. Now let’s move on to the other features that add to the awesomeness of those best toilets. First off is the dual flush function that tops the list of great toilet features. Unlike the single flush toilet, a dual flush provides the convenience to choose. Either a full flush to clear your heavy solid waste, or a half flush for liquid waste. The logic behind is of course to save water when you don’t need all of it. You can find the dual flush feature on both 1.6 gpf and 1.28 gpf toilet models. The partial flush usually is 1 gpf or 0.9 gpf. You will see in the toilet specifications shown as “Water Consumption: 1.28 gpf / 0.9 gpf” or “1.6 gpf / 1.0 gpf”. And if you like the idea of the cyclone or tornado flush, TOTO do have a few models with the dual flush. Unfortunately, American Standard only have the single flush for all its Vormax toilets. Generally, a dual flush toilet cost more than the conventional single flush model. So are their replacement parts. It’s a good-to-have feature if you have a little extra for your budget. Like what was discussed about the flush valve diameter, you need a reference to differentiate the good, the bad and the ugly. Unfortunately, there isn’t an industry standard for noise level of a toilet flush. What is quiet to you might sound like a space shuttle taking off to another. So it’s really hard to give a fair judgement. Even the same toilet will sound differently (either louder or softer) when relocated. It’s the acoustic quality of the room that matters. The smaller the room, the harder it is to prevent sound from travelling out. Some folks will attempt to sound proof their toilets, but it will never be 100% silent. And it shouldn’t be because that would mean the room is air tight. That will be very unhealthy for a toilet which need good ventilation. In an environment such as the bathroom or toilet, the air is damp. So you need to keep the room airy and well ventilated at all times. Otherwise when moisture build up, it will promote mold and bacteria growth. But if you really need a quiet flush toilet, you may want to look at this Rapid SL system by GROHE. Seemed like it’s the only toilet in the industry to have earned the Quiet Mark. It’s a carrier system for a wall hung toilet, so you will need a bowl to go with it. Get this TOTO Aquia bowl, highly recommended by users who have used it. That will be nice of a toilet which doesn’t clog. But siphonic toilets are prone to clogs no matter what. It’s how frequent it gets plug, and that is largely due to the small trapway size and design. The trapway size of a siphonic toilet can never be too large. The industry standard is 2 inches and it can’t go too crazy like 3 inches or more. In fact not even 2-1/2 inch, the biggest you can get is 2-1/4″ with most of the leading toilet brands. It’s easy to spot a siphonic toilet by its long S-shape trapway. The reason behind its long and winding shape is for creating the siphon during a flush. And its size is carefully calculated for timing accuracy to produce the optimum siphon power. If it’s too big or too small, a siphon won’t happen or it’ll be too weak to move any waste. And for a best toilet, there should be a fully glazed trapway with the right bend angle to ensure the smoothest flow. Hence, to prevent clogs or significantly reduce the frequency of plugs. Unless there is a break through in flushing technology, this is the best engineering effort for a clog-free siphonic toilet. Every now and then you will still hear about clogs and blockages from the best siphonic toilet money can buy. The best way to keep a toilet clog-free is to give it good care and proper use. Otherwise, the washdown toilet is your next best option. Saving water is not just a virtue. If you live in California, it’s life saving. Toilet manufacturers are racing to build toilets that consume the least amount of water. 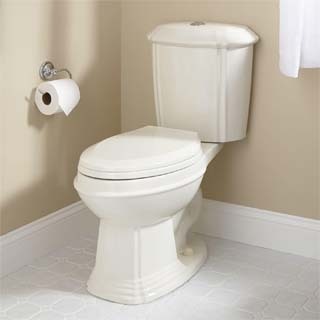 The lowest flushing capacity right now is 1.0 gpf and you can get it from all top 3 toilet makers in the United States. They are TOTO, American Standard and KOHLER. But the best performing toilets are still the 1.6 gpf and 1.28 gpf class. It’s just a matter of time before other States follow California’s strict water usage rules. Especially for toilet flushing, currently 1.28 gpf is the maximum capacity allowed in California. And eventually may become the national standard when it shows to have no impact on consumer satisfaction. 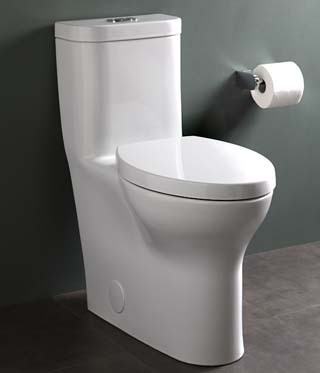 If you are keen on the 1.0 gpf toilets, here are the models from American Standard, TOTO and KOHLER with decent reviews. They are not great but will still give you a decent flush. But don’t expect much of the bowl rinsing efficiency as the water volume may be a little stretch for that. A better option is to get the dual flush 1.28 gpf models. You will be close to getting an average 1.0 gpf and they are better in flushing and rinsing performance. 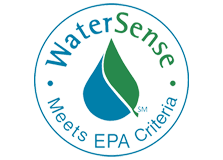 And they usually carry the EPA WaterSense label which certify that the toilets meet the water saving criteria set by EPA. Here are the best selling 1.28 gpf dual flush toilets from American Standard. The warning alone pretty much sum up toilet cleaning is boring, tedious and never fun. Thus it becomes a form of punishment, because people just hate to clean toilets. But not all toilets make a good punishment option. So before you mete out any punishment, do consider the toilet types. The most cruel toilet-cleaning punishment would be a toilet that look like this. There are many areas to clean on a two-piece toilet with exposed trapway. In particular, the joint part between the tank and the bowl. You will need to remove the tank if you want to get rid of those dirt and mold that are hidden deep in the joint. And the exposed trapway has way too many nooks and crevices to clean. Especially when the space is narrow, and you need to stoop down to reach the back part of the trapway. You will go crazy if all the toilets in the house are like that. But this one looks like an easier clean. At least there isn’t a tank-bowl joint you need to take care of. Besides that, there is no risk of water leaking out of the tank to mess up your wood flooring. One-piece toilet is easier to clean and they look much better than the 2-piece. Don’t you think so? But still the exposed trapway is a pain in the rear to clean. They are more expensive than the two piece toilet. Not because they look good, they are just more expensive to produce. And please don’t break any part of the porcelain, or that would mean replacing the whole toilet. This is so much better with all the flat surfaces and no joint. Cleaning is no punishment with a toilet like this. Just place a one piece and skirted toilet in any bathroom layout, it will always be an eye candy. It’s not only good to look at, it’s super easy to clean and maintain. However, please be extra careful with the porcelain. It can cost more than a two piece and a normal one-piece toilet combine. So is it going to end all punishment with this super cool looking toilet? Not till you see the next one. Wait….this one is no punishment, it looks more like a reward. You will throw in the floor cleaning as bonus, right? Wall hung toilets are the easiest to clean. They have the least surface area and literary no hidden surfaces that you can’t reach. But what you see is only the bowl. The whole system will include the carrier and water tank which are hidden behind wall. Folks who own it will only have good things to say about this floating toilet. If you are planning for a new bathroom, do consider to have one installed. You will love it. Here’s a TOTO wall hung toilet review. You will find out why this will end your hunt for the best flushing toilet. If the flushing part confuses the daylight out of you, an easier way to tell a powerful flush is the MaP rating. MaP stands for Maximum Performance testing. It’s the industry standard for flushing performance of toilets. Basically, it’s a rating that rates how well a toilet performs solid waste removal. The rating is obtained through a flush test carried out in a lab. The test uses soybean paste to emulate human waste and together with toilet paper as test materials. According to MaP, soybean paste has similar physical properties as human waste in density and moisture level. So you can probably imagine how the test is performed in the lab. Calibrated weight of the test media is progressively loaded into the toilet bowl in 50g increments. They will keep adding the test materials until the toilet failed to completely clear the bowl in two of three attempts. The last loading weight that was successfully cleared sets the MaP rating for the toilet. The maximum load is 1000g, which is the best flushing performance. So if you see a MaP rating of 1000, it simply means the toilet is capable of clearing 1000g of waste in a single flush. Or MaP 800 means the toilet can clear a maximum 800g of bulk waste. Any rating that is 250g and below, it is not an acceptable flush performance. The higher the number is, the better. You get the idea. Here’s a MaP Scoring Guide that shows the 4 flushing performance classes. The Highly Recommended class (600 to 1000g) is of course the best rating you can expect. But not all toilets will have the MaP rating. It all depends if the manufacturer submits the respective toilet models to MaP for test and certification. Most of the well known brands will have a MaP rating on their toilets. You can do a MaP search to check if a particular toilet model has the MaP certification and with what rating. Everything you need to know about MaP is here. Some folks hate it, but some swear by it. It has a lot to do with your physical height. People who are tall will love a comfort height toilet because they won’t have to bend their knees too much sitting down. So are those who have bad knees, especially the elderly folks. And those who suffered leg injuries, this is God’s gift. It just makes sitting down and getting up thankfully easier. But if you find your feet barely touching the floor when seated, then a comfort height toilet is not right for you. You will have two options, either get a regular height toilet or a Squatty Potty. 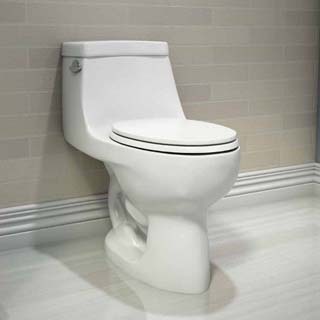 Comfort height begins at 17″ right up to 19″, measured from the floor to the top of the toilet seat. And it has few other names which basically mean the same thing. American Standard calls it the Right Height toilet. TOTO says it should be an Universal Height toilet. Only KOHLER has it as the Comfort Height toilet. Others call it…..whatever. You just need to know the range, 17″ to 19″. Which also happens to be an ADA compliant height. But that’s no coincidence, a large part of it is just marketing hypes. So right height or not, you decide. Even if it means it’s below the minimum 17″. Your comfort is more important than the terms or names that try to dictate it. ADA stands for “Americans with Disabilities Act”. You can read more about the act here (look out for clause 604.4). This is probably the least important of all features you have read so far. But still, it can dictate your toileting experience if you chose the wrong bowl shape. It’s not just a personal preference, it has everything to do with the “front end” side of things. From saving that few inches of space at the front for more leg room, to your genital. Most men hate to use a round bowl toilet. They just hate having a part of their body touching the inside bowl surface. Some say it’s designed mainly for women. Well, probably. But when you need to shave that 2 or 3 inches on the length (of the toilet), it’s a viable option. Hence, the round front toilet is often referred to as a compact toilet. It can save some front-to-back space for sure. Other than that disadvantage for men, there are no difference in performance. Some of the best flushing toilets are of round bowl or round front type. While you have a choice, always go for the elongated bowl toilet. Give it a thought for the sake of the guys in the house. The rough-in is the most important specs of a toilet. Get it wrong and you will have endless nightmares with a limited choice of toilets. 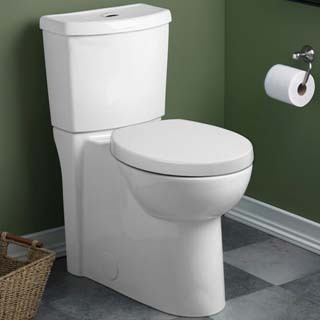 When you are replacing your toilet, you must replace it with a similar rough-in size toilet. Or it won’t fit, that’s it. Your plumber will just walk off thinking you are a crackpot. There are only 3 rough-in sizes – 10″, 12″ and 14″. Out of the 3, the most common size is 12 inch. And you should always go for the 12″ rough-in when you are planning for your new bathroom or washroom. You will then have the widest range of toilets to choose from. All toilet manufacturers will have the common 12″ rough-in for all their toilets. Only a handful of models are designed for 10″ and 14″ rough-in. And most of the best flushing toilets, if not all, are 12″ rough-in. The best flushing toilet is always a popular toilet with lots of people owning it. And that simply translate into good economy of scale for a sustainable and lucrative replacement parts market. Parts like the flush valve, flapper, fill valve, rubber seals and even the lever are consumable parts. They are subject to the usual wear and tear from daily use. So it makes perfect commercial sense to mass produce and make these parts easily available to consumers. So whether you are getting original parts or the alternatives, you will be spoiled for choice. 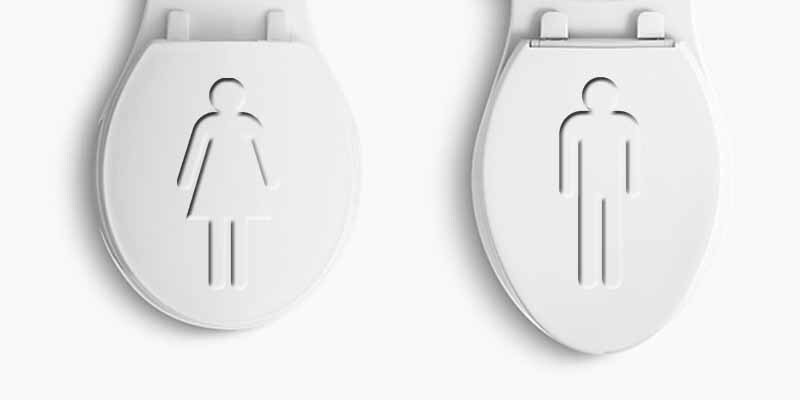 The market for toilet replacement parts is so big, it has brought about some of the best toilet parts and accessories manufacturers. Companies like Korky and Fluidmaster makes some of the best quality toilet parts for most of the best toilet models out there. And Bemis, known for its range of toilet seats, is a trusted alternative for a replacement seat under its flagship brands, Bemis and Mayfair. If you can’t get the original parts, try Korky or Fluidmaster. In the case of toilet seats, Bemis will have you covered. It’s almost impossible for a situation where you can’t find any spare parts and accessories. So that’s an advantage of owning a best flushing toilet. You will never have to worry about replacement parts. Even when you don’t have the luxury of space, you can still find the best flushing toilet that is compact in size. And being small doesn’t mean it has to compromise on some features. You can still find a 1.6 gpf or 1.28 gpf compact toilet that will fit into your small bathroom or cubicle. Not only that, there’s the dual flush feature with elongated bowl toilet. Comfort height, two-piece or one-piece, exposed or concealed trapway, you can have it all. Or if you want the high end tankless toilet, TOTO will have one that fit your small bathroom and budget. 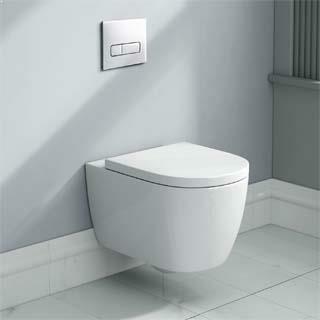 And the best space saver toilets are the wall hung type, which almost encompasses all the great features discussed above. So space limitation will not limit your desire for a full featured best flushing toilet. You are only limited by your budget which not necessary have to be bigger than for the regular size toilets. Here’s an article about a best compact toilet that could possibly be the smallest gravity flush toilet in America. You may also discover some of the best compact toilets from the top 3 toilet manufacturers. So there you have it. You are now equipped with the knowledge and skill to sieve out a best flushing toilet from the clutter. The most important feature of all is the flushing and rinsing efficiency. Once you get this right, you will have a toilet that gives you the least problem and will last for a very long time. The rest are optional according to your preference and budget. But if you can stretch your dollar a little, get one that is easy to clean and maintain. In the long run, you get better ROI in terms of time freedom and a more hygienic bathroom. A one piece and skirted design toilet will be ideal in this aspect. And if you have a generous budget, go for the wall hung or tankless toilets. They give you the best toileting experience that is worth every penny on your investment. Last but not least, the best flushing toilet is only a perception, driven by our wide ranging preferences. You should set your own preferences based on features that is most useful to you. Prioritize them according to importance and you won’t go wrong in landing yourself with a best flushing toilet. Thanks for all of your valuable advice. After days of researching, I could have just come here and gotten all the information I needed to know. Great article. Hi Salome. Glad it helps. I was wondering what are your thoughts on the class five flushing technology versus the AquaPiston flush valve. Hi Wanda, thanks for asking. My understanding of the class five system is the larger than normal flush valve opening of 3-1/4″. And the AquaPiston is just a component of the class five or class six….whatever. It’s just a KOHLER thing (marketing). I wouldn’t bother what classes is it. If a larger than 3″ opening is such a big deal, how about the 4″ valve by American Standard on its Champion 4 toilet? Whatever valve size that is claimed, it has to meet with the other design specifics like the trapway size, water channels, water surface and bowl glaze…etc to pull a decent flush. It may be able to clear everything in the bowl but leaving some bits and pieces on the wall because water from the rim holes didn’t quite get on to them. Does it matter if it’s class five or six then? I’d suggest don’t buy into that too much. If you read about some reviews, it seems nobody has a problem with clearing waste but getting a clean bowl is. But having said that, I still love the AquaPiston over the flapper. Who knew there was so much to purchasing a new toilet?! Thanks for the clarification. I feel better equipped to make an informed decision. I am leaning towards a dual flush. Where were these when my 5 daughters still lived at home?!! Your article was extremely informative and easy to understand. Very helpful to us! What a GREAT job you have done to clarify and simplify the job of empowering folks to purchase the best toilet for them — thanks so much! Water Surface Area In The Toilet Bowl – Are They Shrinking? One Piece vs Two Piece Toilet. Which Is Better?